"But, officer," the man began, "I can explain" "Just be quiet," snapped the officer. "I'm going to let you cool your heels in jail until the chief gets back." "But, officer, I just wanted to say" "And I said to keep quiet! You're going to jail!" 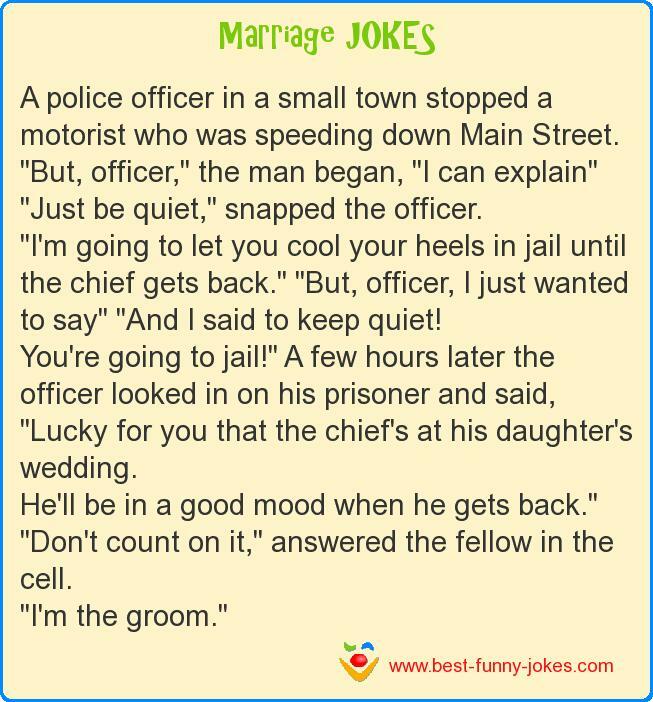 A few hours later the officer looked in on his prisoner and said, "Lucky for you that the chief's at his daughter's wedding. He'll be in a good mood when he gets back." "Don't count on it," answered the fellow in the cell.